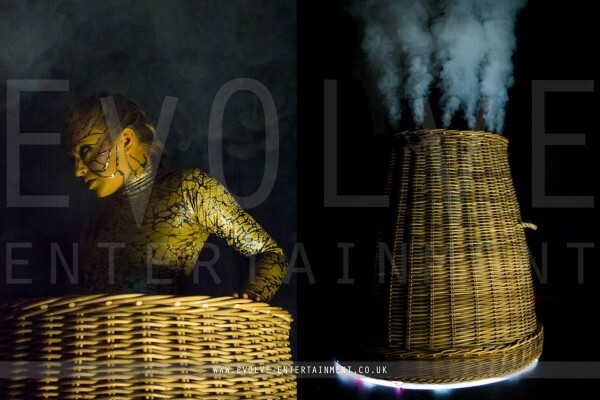 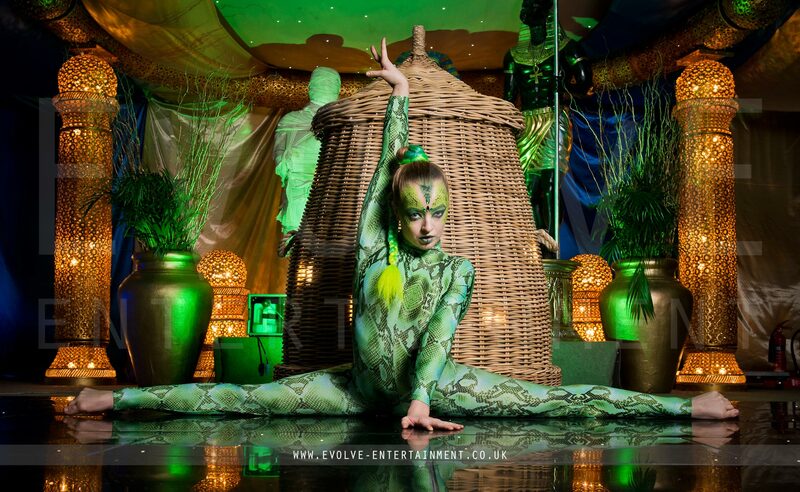 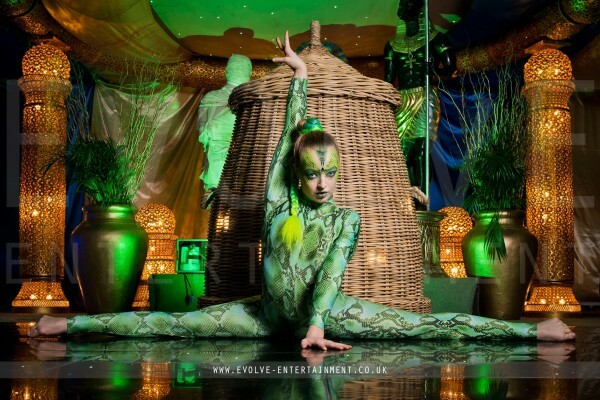 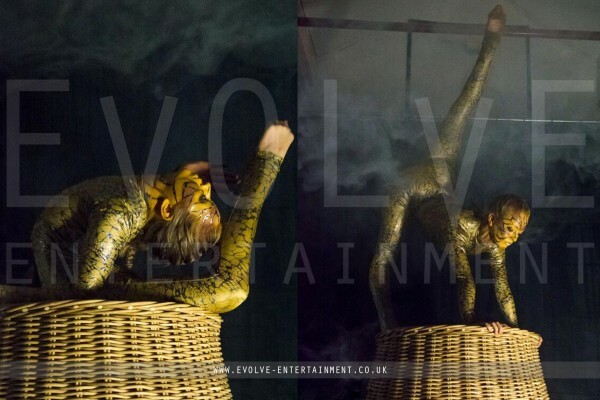 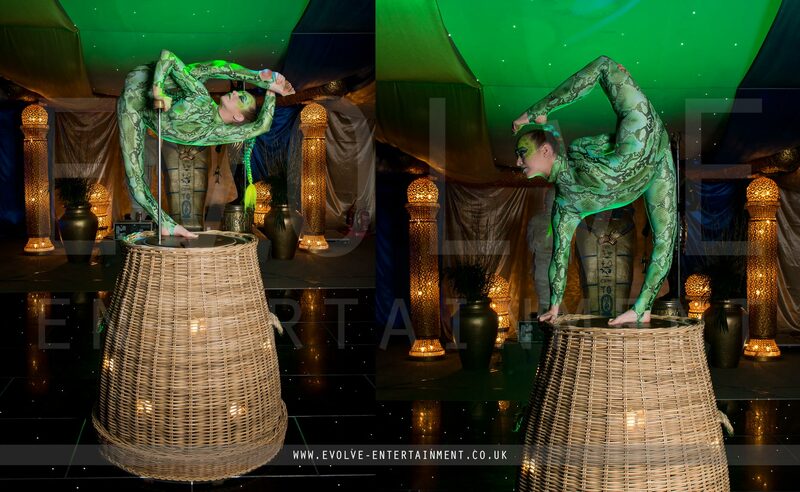 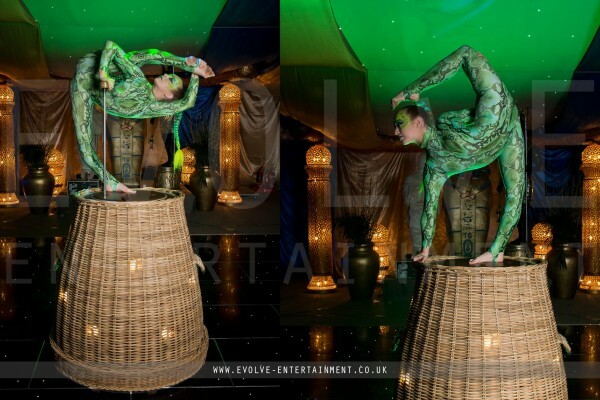 Allow your guests to be mesmerised by our mystical snake contortionist whilst she fuses contortion, hand balance, acrobatics all around and on top of an exclusive basket prop. 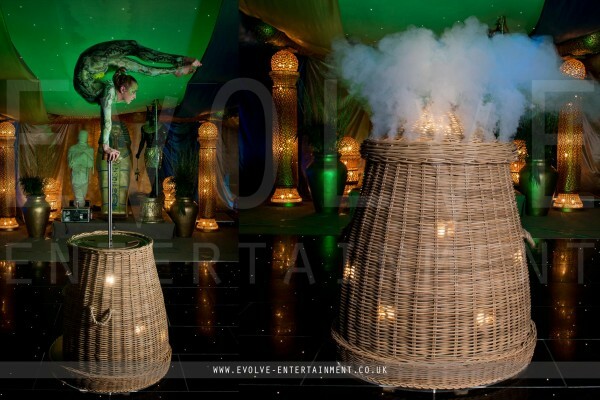 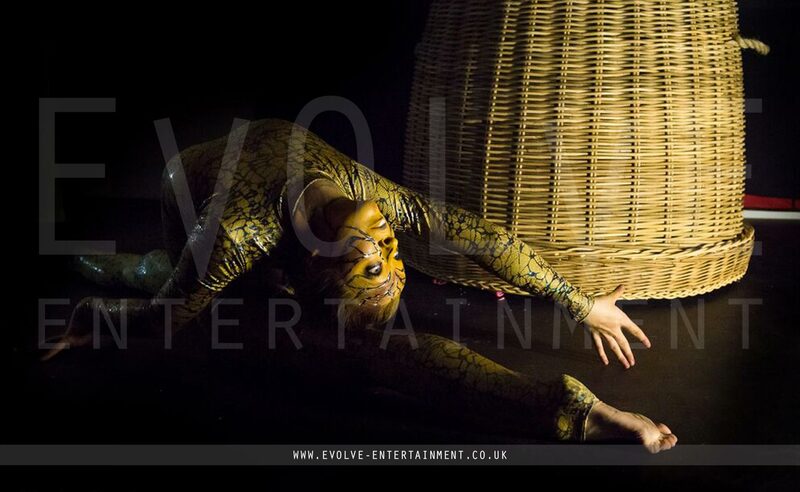 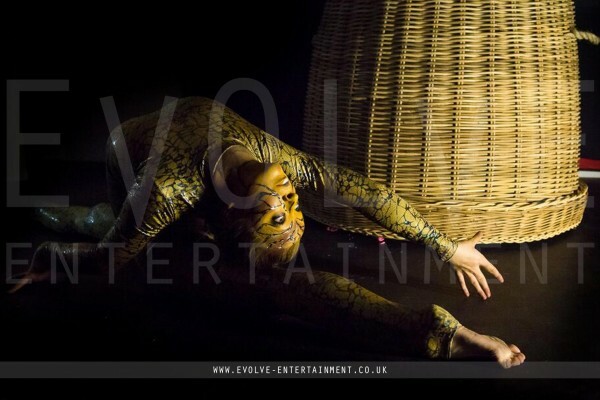 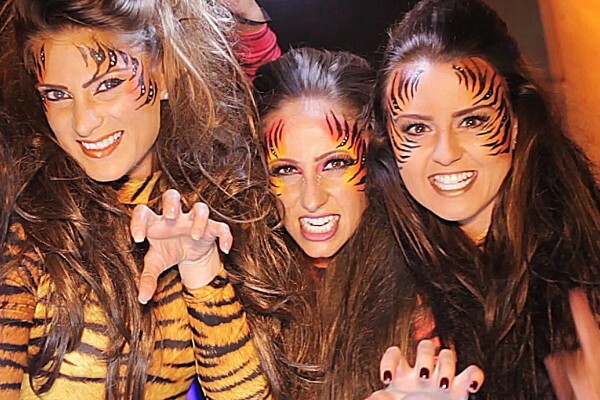 For the ultimate wow factor this act is supported by its own unique soundtrack and special effects to include internal LED lighting effects. 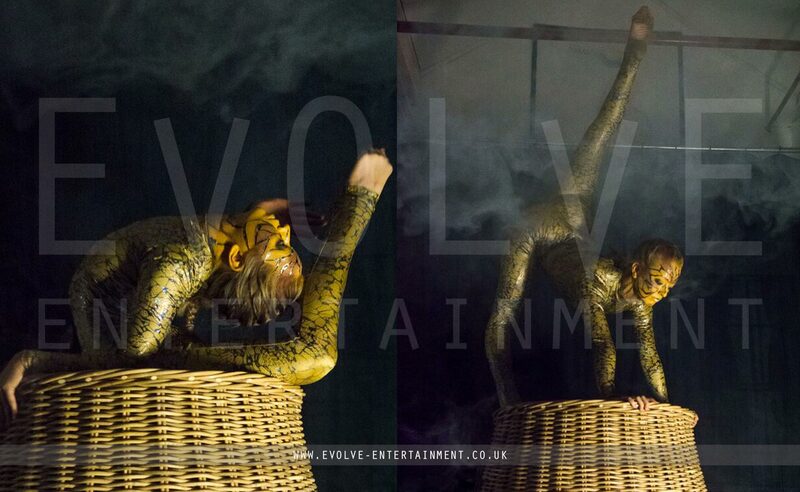 An on-board smoke generator provides an element of mystique to set the scene before the initial character appearance. 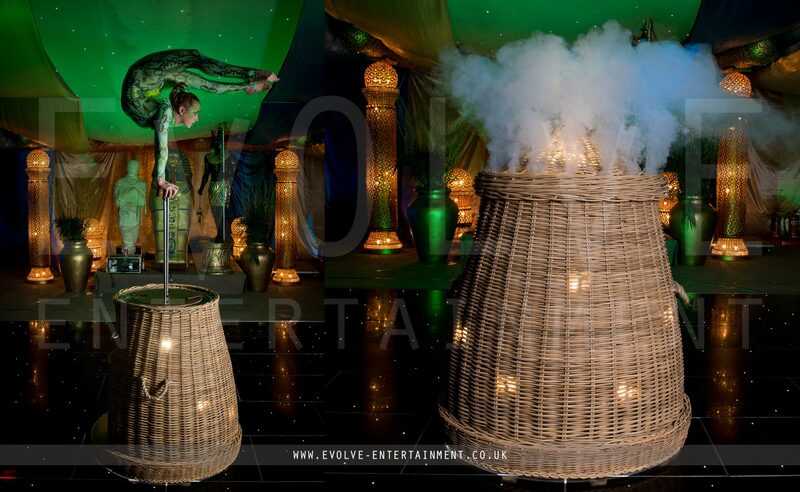 An additional bonus effect can also be added in which the wicker lid appears to levitate to the ceiling (headroom and sufficient structuring applies). 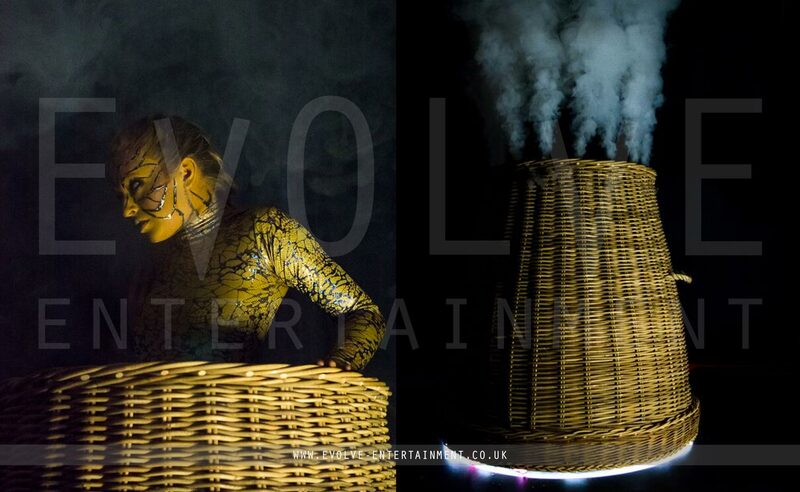 This act can also be part of a bigger show, by adding fire artists or possibly a witch doctor character.